I’m interested in the way mass psychology, ‘mindsets’, fears and syndromes work in various ways and (you guessed it!) am trying to re-develop (from yellowing 1970’s notes and scribbled jottings - no laptops back then folks) a tutorial thematic on examples of the above phenomenon in modern era (1455 – present-day) armies (and if an army isn’t a ‘mass’, then what the heck is it?). I thought a good example from WWII might be the way the German Tiger tank (Pzkw VI) and 88mm Anti-aircraft/anti-tank gun established such fearsome, almost legendary reputations amongst allied armies. I’m wondering whether posters think the standing of the Tiger and ‘88’ as ‘killer’ super-weapons was based on the reality that they were both simply very good at what they did for their day OR if their status may have been more a product of simple word-of-mouth rumour-spreading and panicking scaremongering (too strong a word?). Quite a few writers in the military field have been suggesting over the years that they were ‘overrated’. This of course begs the question: compared to what? They’ve also pointed out and I think probably exaggerated certain problems and deficiencies the weapons had. For example: the Tiger was supposedly too slow and cumbersome, had complicated suspension and road-wheel system, engines requiring high maintenance and there was confusion and uncertainty regarding role etc. Or that the 88 was too high to be easily concealed an important factor for the anti-tank role. I’m sure the weapons have been discussed before on the forum but I’m mainly interested in the effect of their ‘reps’ and how allied actions may have been effected by the fear that Tigers or 88’s were ‘around’. In my 'umble opinion, the fact that both us and Ivan had to winkle the bastrards out of their lairs, to kill 'em had something to do with it. All adolf's big cats could be made to suffer when they came out of the jungle to hunt. Most famous example being Wittmann's mob getting caught in Joe Ekins' tiger pit at Saint-Aignan-de-Cramesnil. Yes, if there’s one factor which the Western allies always recognised about the way the Germans fought in 1943-45, it was how they were so often able to get the absolute most of what little they had. Not just their small arms but anti-tank guns like the 88, mines, support artillery, and of course AFV’s like the Tiger. This coupled with their generally high levels of training and proficiency and that overall excellent unit cohesion under sometimes tremendous pressure made them formidable opponents. My father said that his father who fought them for four years in the trenchs 1914-18 including Verdun had always said of the Germans that they were ‘hard to shift’ when defending and ‘hard to stop’ when attacking’. 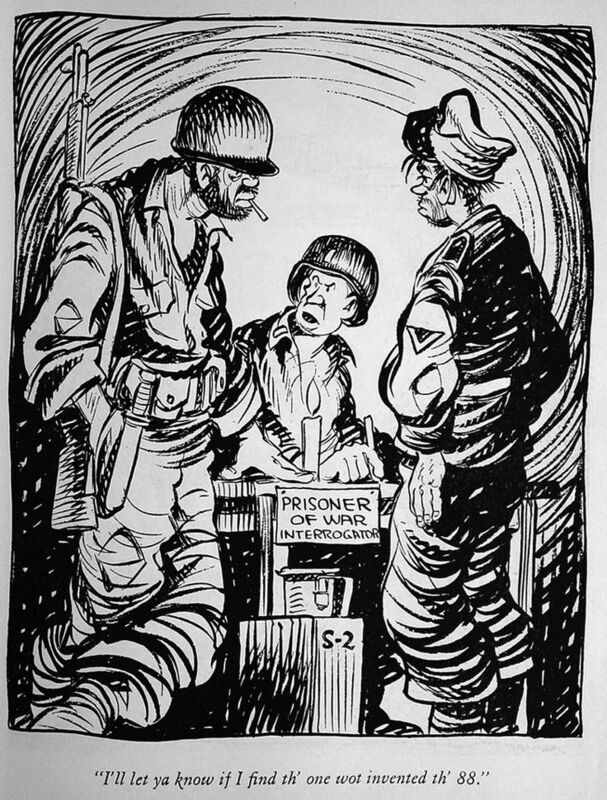 Same could be said about them in WWII. “By this time, too, the 88 was a standard tank gun. Its threat was greater than it had been as an anti-tank gun - now, the 88 could come looking for you. Certainly had an effect 'in my mind' when I first saw one of the bleedin' things! Like all of us (present company excepted RSM!) I knew it all from books, till I saw it... much, much 'larger than life'. Bovvy Tank Museum, spring 1975. On a massive rack were displayed tank guns ranging from the 2pdr., which you could just about carry, a 6pdr. that looked summat like, to a 17pdr. which ticked all the boxes as to what I'd imagined a tank killing gun to look like. As I edged in to get a closer look I stumbled over something big, and cursed the idiot who'd left a f ing great telegraph pole, laying about on the floor... said telegraph pole, on closer inspection, was an 88mm Tiger tank gun. Trust me on this... it's not all in the mind! There were two principle types of 88s used for anti tank work, the original l56 that was used an an AA gun and was fitted to the Tiger Is and the longer L71 that was in the Tiger 2s. A psychological weapon that got that way by having real effects. The Tiger was a superb tank by anyone's standards, more than capable of turning any opponent to blazing scrap, and the 88mm's fearsome reputation was also thoroughly deserved. What got me was that Allied troops could still find the courage to face and defeat them, while I'd probably be burying myself in a pile of sh!te to avoid capture (believe me, it'd be there). LCM1 has hit the nail on the head, we're lucky that we'll probably never have to face such things, and I have nothing but the deepest respect for those who did. However I think we should also appreciate how well the 88 and Tiger tank crews fought. Especially in the West, so late in the war against overwhelmingly superior numbers of allied tanks and other resources, total allied air supremacy and a hopeless overall situation. Perspective guys and gals, with a lodestar topic it's nearly always about perspective . My wife knows full well how lucky she is ....wedded for 35 years to a cosmic entity. On occasion she has looked away from me shielding her eyes and saying "Forgive me Highness, one can only look at the son of the sunne for so long before one begins to be blinded by your brilliance . I must rest mine eyes". Considering it took the Western Allies AND the Soviet Union 6 years to beat them, I think we can take that as read. Which one's Willy, which one's Joe? Have you really done 17000 + posts in eleven years? That's amazing . I've only managed 2770 in fourteen years. 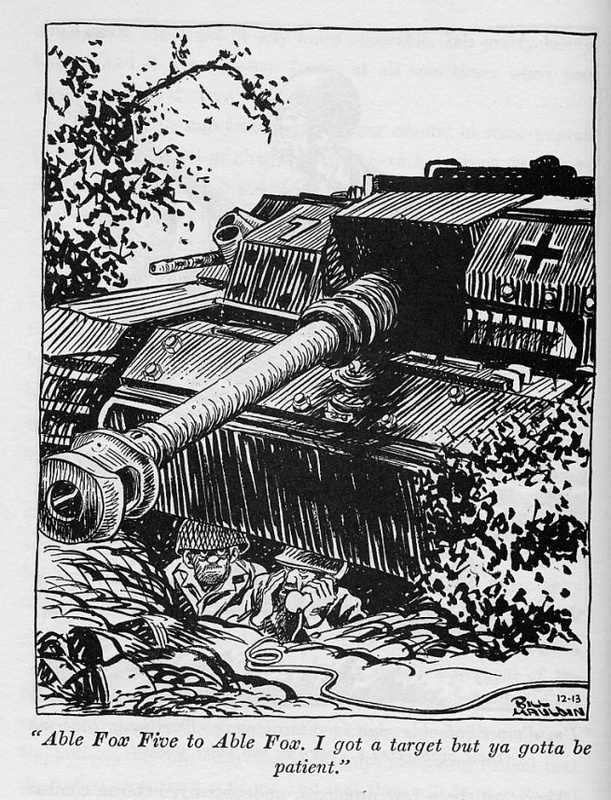 The "Tiger Tank" from the allied POV was in reality the Panzer IV and the Panther. In "Tigers in Normandy", effectively there was only up to one tank battalion of Tigers operational on the Western Front (there were 3 x Tiger battalions deployed there with understrength operational numbers). The Germans deployed the Tigers mainly in the East. Considering all the Tigers were deployed on the British/Canadian front in Normandy, density there was often better than 1 Tiger per mile of front. The battalions were understrength because they kept getting hit by the Allies.